Did you read the news in the national papers? The SM Group plans to build a major structure in Calamba, Laguna. No, it’s not the Sy family’s usual business. It’s not a mall, cinema or grocery. It’s a sports academy. Yes, the first of its kind in the country and SM is investing P1 billion to build a sprawling campus on a four hectare property. I’ve had a chance on a few occasions to meet Hans Sy. He’s the fourth of six children of Mr. and Mrs. Henry Sy, who head the country’s richest family with an estimated net worth of over $14 billion. I’ve seen Hans Sy on multiple occasions during SM mall openings in Cebu and Iloilo. I saw him in a different setting last February. It was the final weekend of the UAAP competition for tennis. My daughter Jana, representing Ateneo, was part of the collegiate meet. The venue was the Rizal Memorial Tennis Center and Mr. Sy was invited to witness the championship matches of his family-owned National University (NU). Since the Sy family bought majority ownership of NU in 2008, they have invested heavily in sports development. This focus has resulted into NU (founded in 1900) being a sports powerhouse. 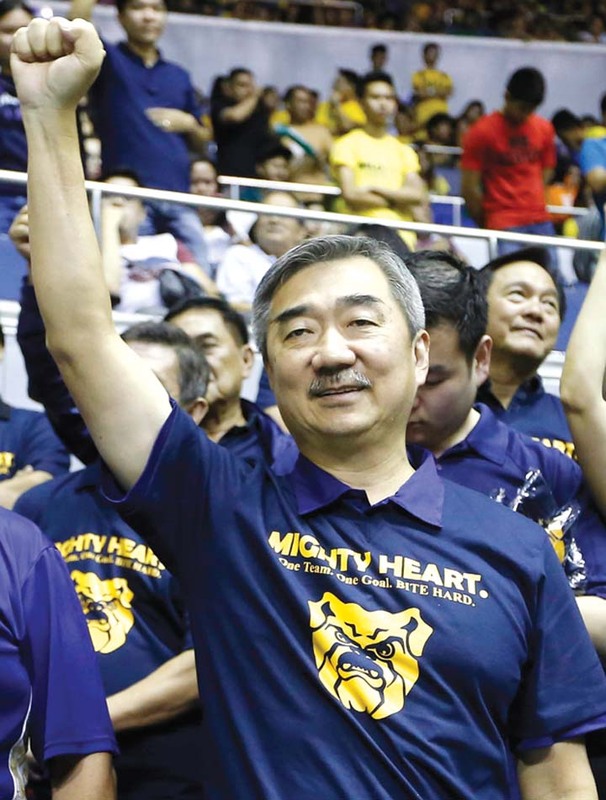 In basketball, the NU Bulldogs won the UAAP crown in 2014, besting FEU in its first championship in 60 years. In volleyball, the men’s squad won back-to-back trophies in 2013 and 2014. In cheerdance, they’re the three-time champions. Tennis? The same golden result. 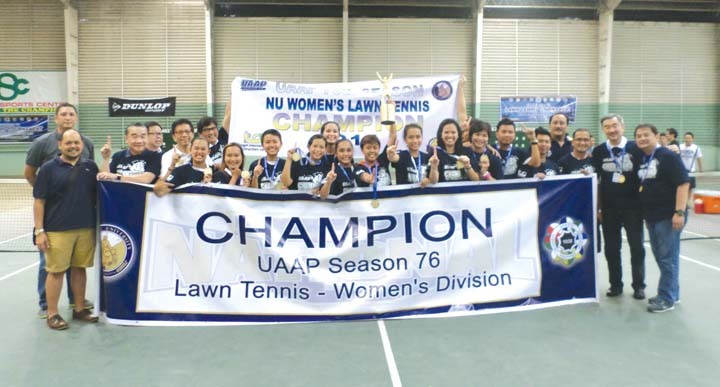 Three months ago when Hans Sy watched, he witnessed the NU tennisters win the women’s and men’s crowns — the third straight year that NU won the two UAAP tennis divisions. The NU men’s netters were so dominant that they won their 44th straight tie — the second longest in UAAP history behind Adamson University’s 72-game winning streak in volleyball. Hans Sy did not stay for a mere 30 minutes. He stayed for over three hours the entire Saturday morning, clapping when the Patrominio sisters collected their singles wins and cheering for Leander Lazaro’s MVP performance. Mr. Sy joined both teams inside the tennis rectangle during the awarding. Smiling, proud, and holding aloft the trophies, Mr. Sy has grown to enjoy taste of sports victory. You see, the Sy family are major players not only in business but in sports. For where can we find the only ice skating rinks in the country but in SM, including our very own SM Seaside City. Sports stadium? The country’s best today — the 16,000-seater SM MOA Arena — has hosted top international exhibitions like the UFC (Edgar vs. Faber), FIBA Asia Championships, the Intl. Premier Tennis League (Serena Williams and Rafael Nadal), among many others. And, of course, here in Cebu, there’s the road race everyone looks forward to: the SM2SM Run. Plus, the entire Vis-Min is looking forward to the construction of the SM Seaside Arena. Finally, we will have a world-class facility to precede the 1962-founded Cebu Coliseum. At first, the facilities will be for volleyball and basketball. In behalf of the sports community, kudos to Hans and the Sy family.